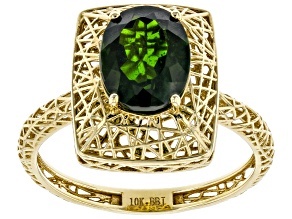 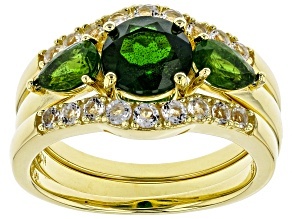 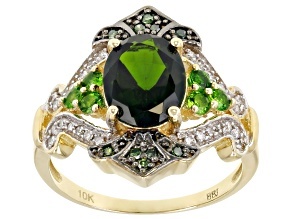 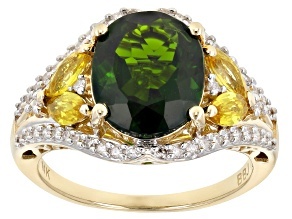 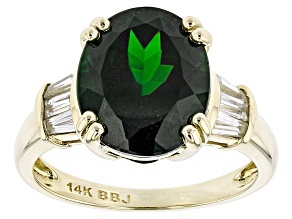 Green Chrome Diopside 10k Yellow Gold Ring .52ctw. 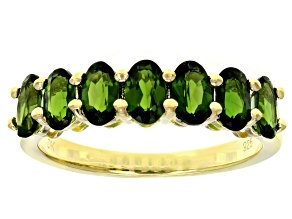 Since the late '80s, when chrome diopside jewelry entered the semiprecious jewelry scene shortly after its discovery, some have tried to call it 'Siberian Emerald,' thanks to the best (and earliest) commercially viable deposits of the stone being found primarily in that region. 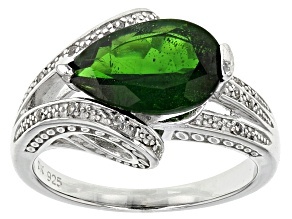 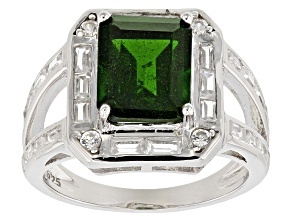 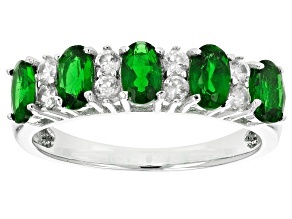 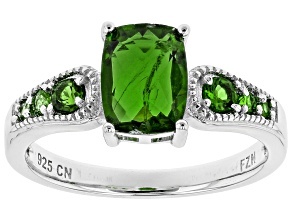 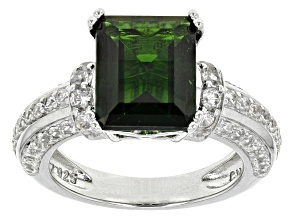 However, chrome diopside, while typically green, is fundamentally different from emerald - and thank goodness for it. 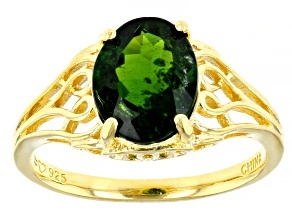 The concentration of chromium in chrome diopside is what gives it its unique, deep and lush green color, which is strikingly different than that of emeralds. 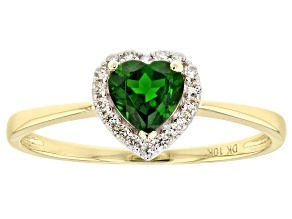 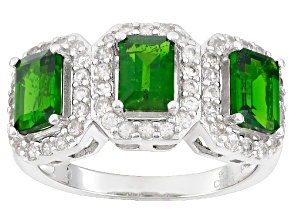 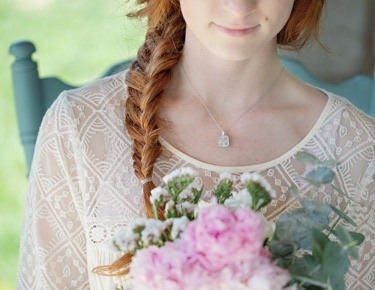 Lovers of the color green searching for a new statement ring may be looking for a shade that's different than the spring-y, grass-green of peridot jewelry or the classic-though-common shade of emerald jewelry. 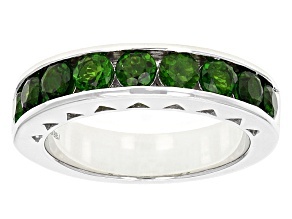 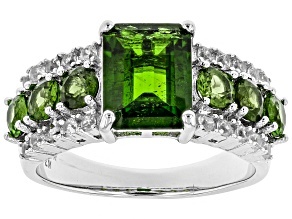 That's where green chrome diopside rings have space to shine. 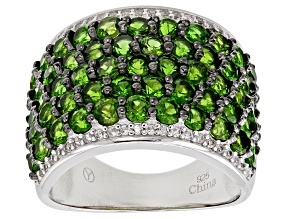 Discover the beautiful hues of green featured on chrome diopside rings, ranging from brilliant mosses to deep forest greens. 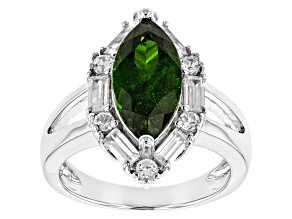 The larger your chrome diopside ring's stone, the darker it will appear, so lovers of hunter greens should opt for a larger chrome diopside ring, and appreciators of lighter hues should look for smaller stones. 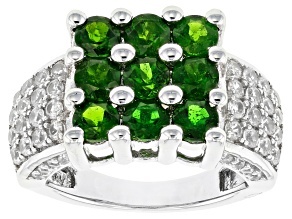 From oval, to round, to pear-shaped stones, you can find gorgeously decorated chrome diopside rings at affordable prices. 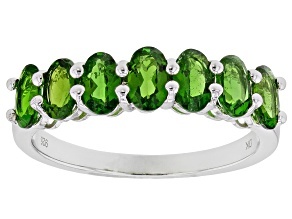 Whether you'd like a large solitaire chrome diopside ring with a statement center stone, a stackable ring with an unbroken band of several smaller stones, or something more unique and trendy, you'll find a variety of chrome diopside rings from which to choose.